The American Red Cross Desert to the Sea Region serves Orange, Riverside and San Bernardino Counties. As one of Southern California’s leading non-profit agencies, the Desert to the Sea Region serves a total of 128 cities and unincorporated areas and over 7,900,000 people. The American Red Cross exists to provide compassionate care to those in need. Our generous donors, volunteers and employees are part of a nationwide network committed to preventing and relieving suffering here at home, across the country, and around the world. The Red Cross empowers ordinary people to perform extraordinary acts in emergency situations. We train. We mobilize. We connect donors and volunteers to those in urgent need of a helping hand. 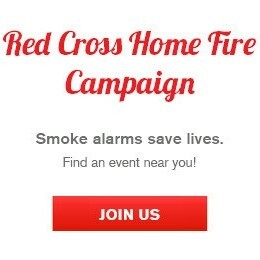 Whether it is a wildfire or a heart attack, a call for blood, a call for help after a devastating home fire, or a call from a service member or military family in need, the Red Cross is there. All Red Cross assistance is free, made possible by voluntary donations of time and money from the American people. We are dedicated to providing help and hope to those in need. We provide food and shelter in emergencies, assist members of our armed forces, veterans and their families, teach lifesaving skills to ensure our communities are prepared to respond to emergencies, and so much more.